Dalyan in Turkish means enclosure of nets fixed on poles used for catching fish. The village is situated on a river, surrounded by lush green fields breaking into spectacular mountain ranges. On one side of the river is the ancient city of Cuanos that is regarded as a great archaeological site in Turkey. Only ten percent of the city has been uncovered and every year more and more treasures are being discovered. There is much wildlife to discover in Dalyan including many birds that are not found anywhere else in the world. A short tranquil boat ride through the reeds and you come to a 4km sandy beach. 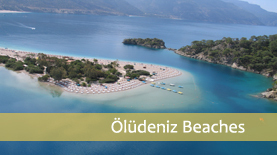 Iztuzu (Turtle) Beach is a conservation area home to the rare Caretta Caretta loggerhead turtles. Due to the conservation restrictions that have been in place since 1989, Dalyan has retained much of its natural charm and beauty. 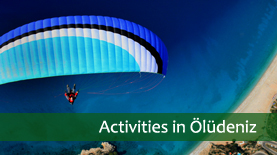 Due to Dalyan being nestled inbetween mountains, next to a river, huge lake and right by the sea there is so much to do for all ages.